I seem to have "water on the brain" lately. First off was snorkeling in the Florida Keys, followed closely by a post on this tropical resort. Either I need a tropical vacation, or, at least, a long walk on the beach. It's a little cold here - I think I'll settle for a rum drink with an orange slice. …but, in this case, you need to pack away your bikini and put your hat, scarf, and gloves on. This is anything but your typical tropical vacation spot, in fact, Tropical Islands isn't really a set of islands. The literal interpretation might more accurately be tropical oasis. Although it received mixed reviews on its accommodations, there is no disputing that it's a great break from the 'norm'. Especially because, it sits in an area no where near the tropics. Here the inside is the outside and the outside is…well…often inhospitable. But no matter the season, you can hang out there as if you're in the tropics. Are you confused yet??? 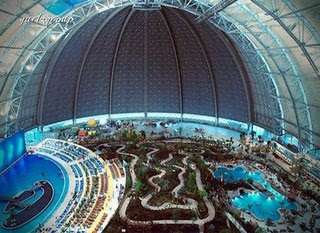 Tropical Islands Resort is Germany's largest indoor resort + water park and is located inside a giant hangar built originally to house airships in northern Germany, not far from Berlin - no where near the water. 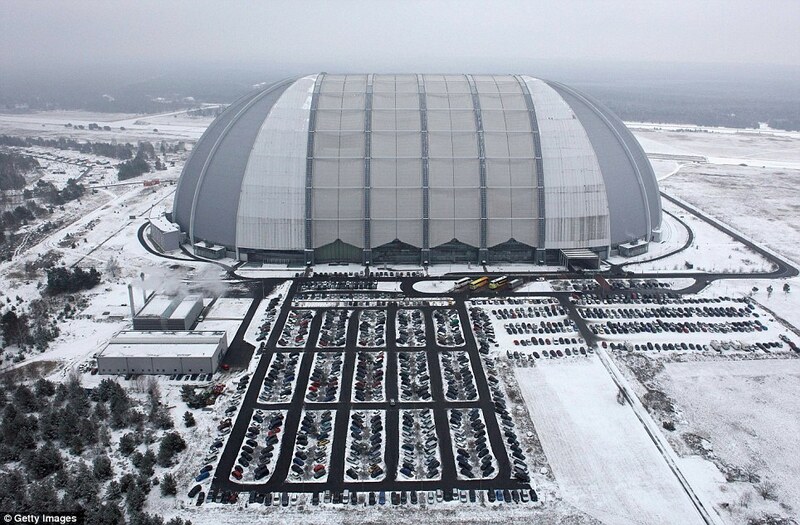 It is 360 meters long (over 3 1/2 football fields), 210 meters wide (over 2 football fields) and 107 meters high (tall enough to enclose the Statue of Liberty). 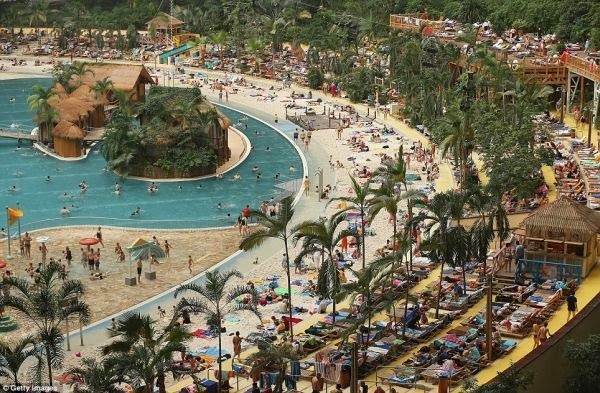 They claim to be Europe's largest tropical holiday world. It may be pure genius - it's certainly unique! Guests can swim in the lagoon style pool, (sort of) bask on the beach, or hang out at the resort's (sort of) outdoor restaurants. You can even play beach volleyball! Clearly, this place is very popular. I think you'll agree, if you live in this climate, you're bound to escape to Tropical Islands (minus the long flight). Offering hotel accommodations, as well as camping, it has all the comforts of a tropical paradise…except for the sunshine. On the not so bright side, you won't get sunburned. Although somewhat of a foreign concept to this Floridian (pun intended), it must be no more unusual to them than Epcot is to us. It's their little slice of paradise, without the long commute. It's cool….or, uh, in this case warm! I'd really like that rum drink now! Water on the Brain is the title which is important to be understood by the readers. This title is really best and creative in the sense of phd dissertation writing help. Some new people will like this blog and it is really interesting. This blog is a best blog.